a rope and a load : MARCELA MORAGA M.
This project was especially produced for the exhibition at Schwerbelastungskörper (heavy load-bearing body ) during Monuments Day 2013 in Berlin. The exhibition was organized by the Jugend Museum Berlin Schöneberg. 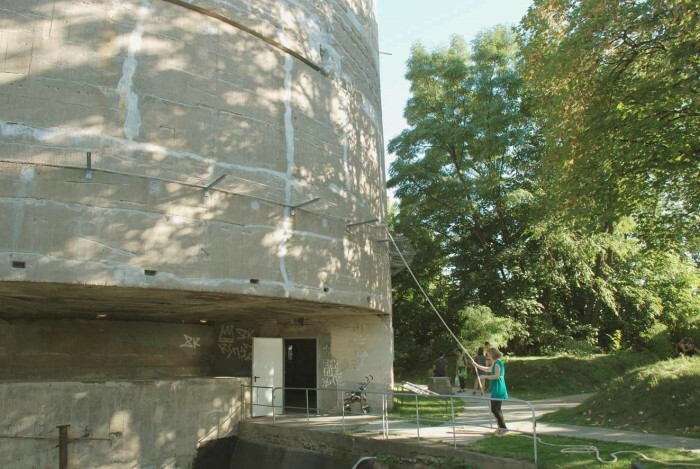 The Schwerbelastungskörper is a big cement cylinder located in the Schöneberg district in Berlin. It was built to simulate the weight of a giant triumphal arch, that Hitler wanted to build for his Germania city project. 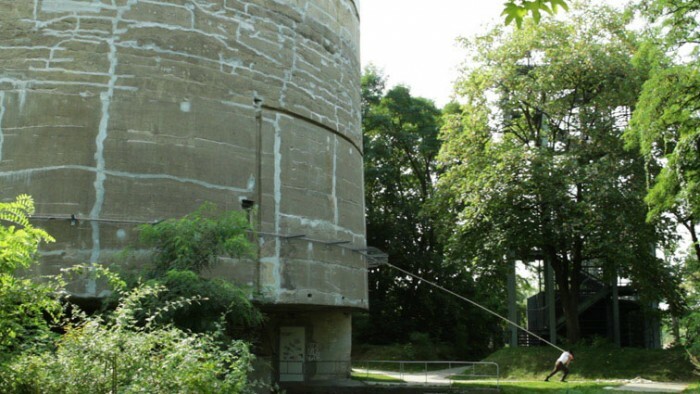 This cement cylinder would verify if the sandy ground of Berlin could resist this heavy building. Because of the end of the war, the arch was never built, but the cylinder remained. After the war, it was not possible to demolish the Schwerbelastungskörper, because of the nearby tenants wish. 1995 the Mayors Office decided to declare the cylinder as a place of memory / historical monument. 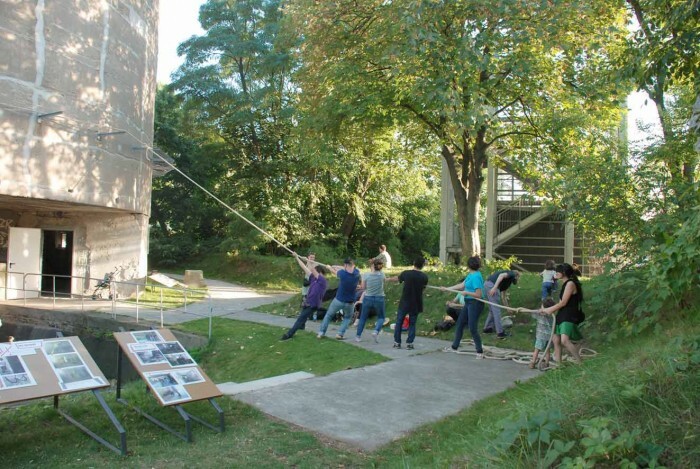 My art action at the Schwerbelastungskörper was to tie a 100 Meter rope around the cement body and then to try to move it. During the day of the monuments in Berlin 2013, the rope remained there for the visitors.